SSouth Africa’s third-smallest province, KwaZulu-Natal is also one of its most exciting – it has a wealth of scenic and cultural attractions that include the country’s most developed beaches south and north of Durban, as well as isolated, almost untouched beaches; world-famous game reserves; two UNESCO World Heritage Sites; and some of the South Africa’s most famous historic battlefields. The richly diverse province stretches along the warm Indian Ocean from Port Edward in the south to Swaziland and Mozambique in the north. The coast has a subtropical climate all year round. with historical little towns, attractive country hotels and irresistible craft routes. KwaZulu-Natal is also where battles that captured the world’s attention took place in the 1800s and early 1900s, when Boers and Brits battled Zulus, and Boers battled Brits. In the interior, north of Durban, among other smaller game parks and superb private Big Five game reserves, is the iconic Hluhluwe-iMfolozi Park, your best chance of spotting black and white rhino. Further north up the coast is the iSimangaliso Wetland Park, a UNESCO World Heritage Site because of its ecosystems that brim with game and marine life. The province has an excellent infrastructure, with good roads, fine accommodation and a wide selection of restaurants. 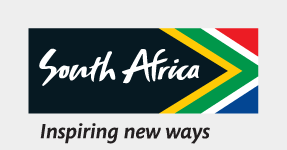 Its main airport is King Shaka International Airport, about 35km north of Durban. Choose one of Durban’s popular beaches with amenities galore plus superb surfing, or make your way north or south along the coast. Sodwana Bay is a diving and fishing mecca. Inland, you’ll find the impressive Drakensberg mountains, which offer numerous recreational amenities for fly-fishers, hikers, horse-riders and holidaymakers, while in the northern part of the province there are several world-class game reserves. The laid-back but busy city of Durban is South Africa’s third-largest city. It’s Africa’s largest port, one of South Africa’s favourite seaside destinations (‘Durbs’ to the locals), and an exciting mix of urban Zulu culture, a huge Indian population and English-speaking South Africans.